but also independently printing books, available only at the stand. 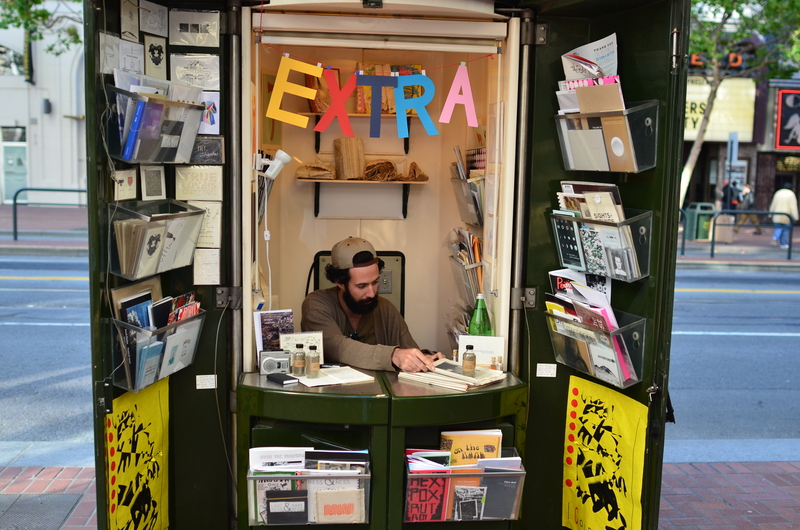 This March 15th, 2012, marks the opening of a reinvention of the traditional newsstand. 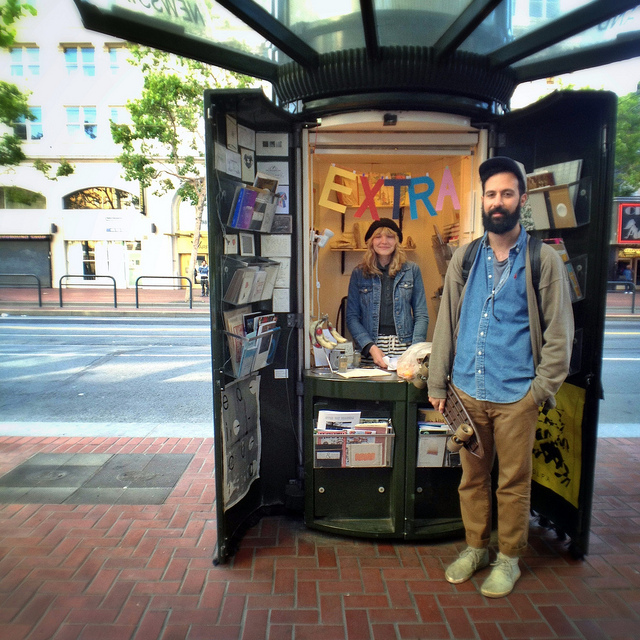 to create a venue for artist books, prints, and albums, on the corner of Market and 6th St.
their community through support from the public and by repurposing a kiosk that would otherwise be vacant. The stand will feature artists and musicians, both local and international, who work with the print format. paired with high concept work. to publish, and his or her work will be featured at the kiosk. and this poster will be made available exclusively at the kiosk. new music features from Aquarius records, as well as market street news and local events. can receive the stimulus it needs to be revitalized and flourish. Edicola’s hours are Thursday and Friday 4-7 pm and Saturday + Sunday 12-5pm. We are asking for submissions of art books, magazines, small prints, zines, records, tapes and cards. Please send images and a short description to hello@colpapress.com. Yes, it’s cause we love you. I still have my books, if you would like them. And/or I could make prints. You know what my work looks like. My name is Nicola Buffa. I have lots and lots and lots of book arts (journals and notebooks), small sale price prints (mostly woodcuts and screenprints), as well as a bunch of other crafty limited edition fine art collectables. Among other things. or i can send you some more direct photo samples. I would like to participate and i have inventory, is the short of it! Let me know how to proceed if youre interested!